There is a common question what every agent is asking that “Why should I register with IRCTC as an agent whereas I can book tickets through personal ID? So here we discuss why to register as an agent with IRCTC and what are the benefits of registering as an agent with IRCTC. Legality : The very first point that you must register with IRCTC as an agent if you are selling the tickets because it is not legal to sell train tickets by using personal user ID. As if we get caught selling tickets using personal user ID then this may lead up to 3 years imprisonment and fine which may extend to ten thousand rupees. Unlimited Tickets : As everybody knows that we can book maximum upto 6 tickets in one month using personal ID, but this is not true with agent login, as we can book unlimited number of tickets using agent ID. 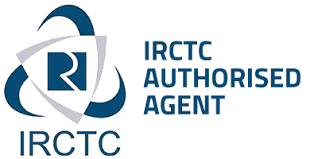 Recognition : Registering with IRCTC as an agent gives you recognition in travel industry, as this can be the first step for any certificate for any travel agent. Many of the travel consolidators get your contact only thought IRCTC database that can offer you other travel services such as air tickets, holiday packages and so on. Signage : After registration you can put signage / display board in front of your shop that you are an authorized agent to book railway tickets, this can improve your trust factor in the general public, which again boost your business in other directions also. Commission / Service Charges : You must know that IRCTC gives you extra commission and service charges that can be collected from the passenger directly and legally. The charges are printed on the ticket copy itself. This again increase your revenue. So it is not advisable to book the train tickets through personal ID for selling purpose. Moreover IRCTC agency licence is not costly as earlier it was. Agency licence cost is as low as Rs 1180 per year, which is negligible in comparison to the benefits we are getting with Agent ID.